Nielsen recently released its Total Audience report for the third quarter of 2018. This in-depth research analyzes consumer habits across all measurable media. 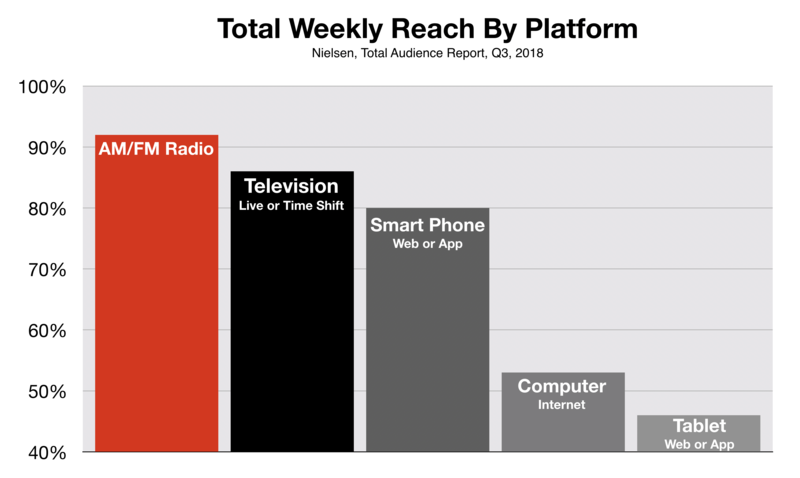 In the categories critical to the success of an advertising schedule, radio remains the dominant force. 1. Radio Reaches Almost Every Consumer. 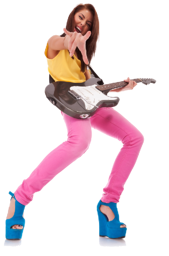 According to Nielsen, radio reaches 92% of all consumers every week. 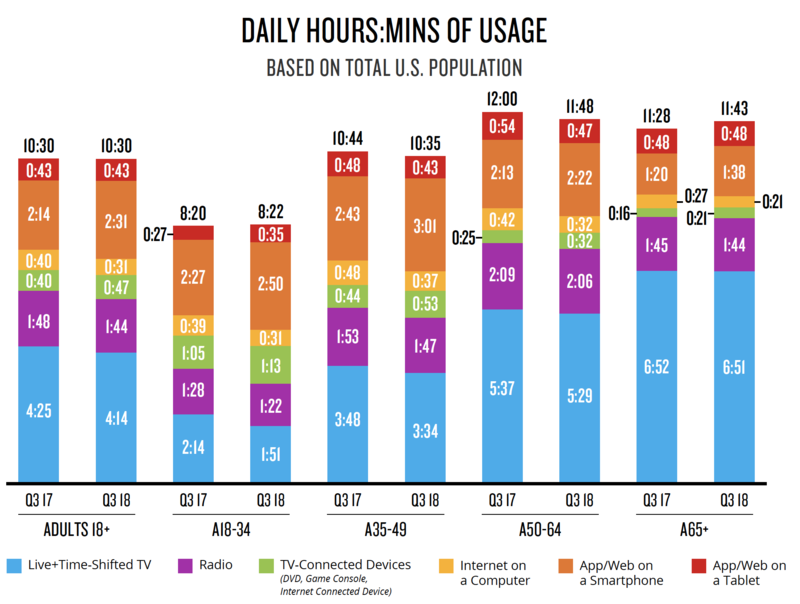 This is significantly more than are reached by television, smartphones, computer, and tablets. Black and Hispanic consumers make-up a significant portion of the Fayetteville population as well as retail spending. To ensure the success of any advertising campaign, then, it is essential these two demographics are included. 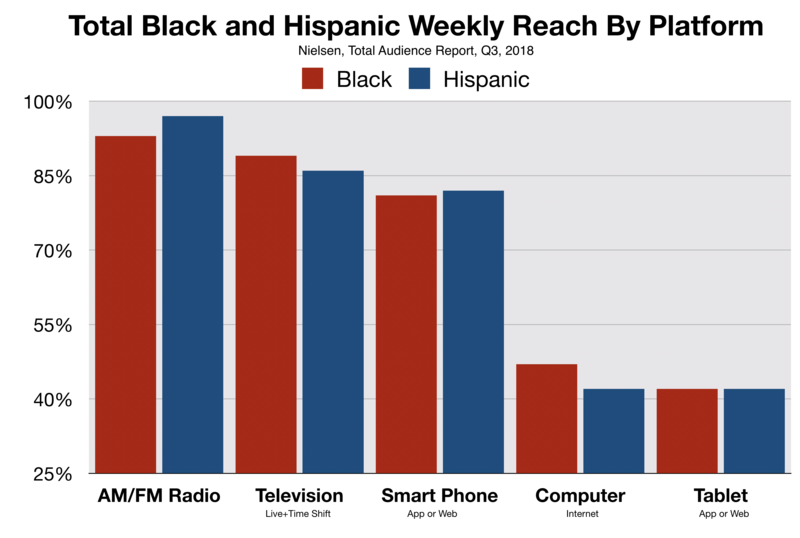 Black and Hispanic listeners tune-in to local radio in greater numbers than they use television, smartphones, computer, and tablets. What may be surprising to many Fayetteville small business owners, reaches more consumers of every age than all other media. 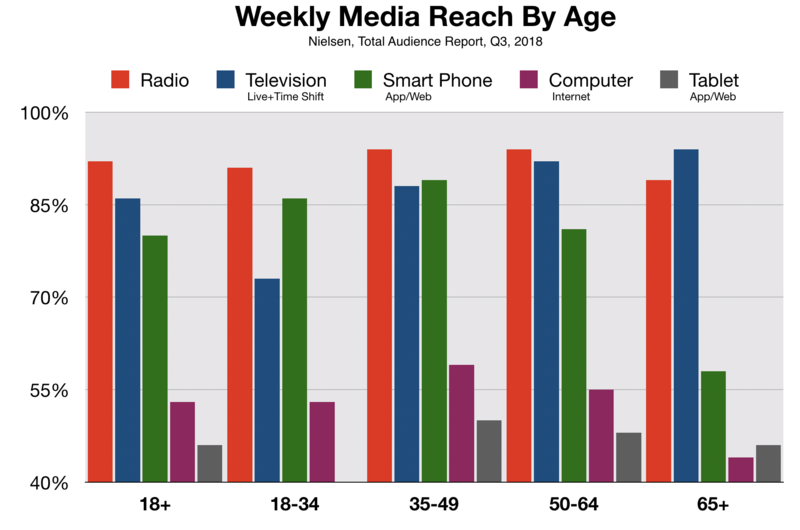 This includes millennials who still prefer AM/FM radio to TV and all other digital media. Seventeen percent of consumers' media usage each day is spent listening to radio. That translates to almost 2 hours per day. The amount of time spent listening to radio has remained consistent despite an increasing number of media options (Source: Nielsen, Total Audience Report Q3 2018). 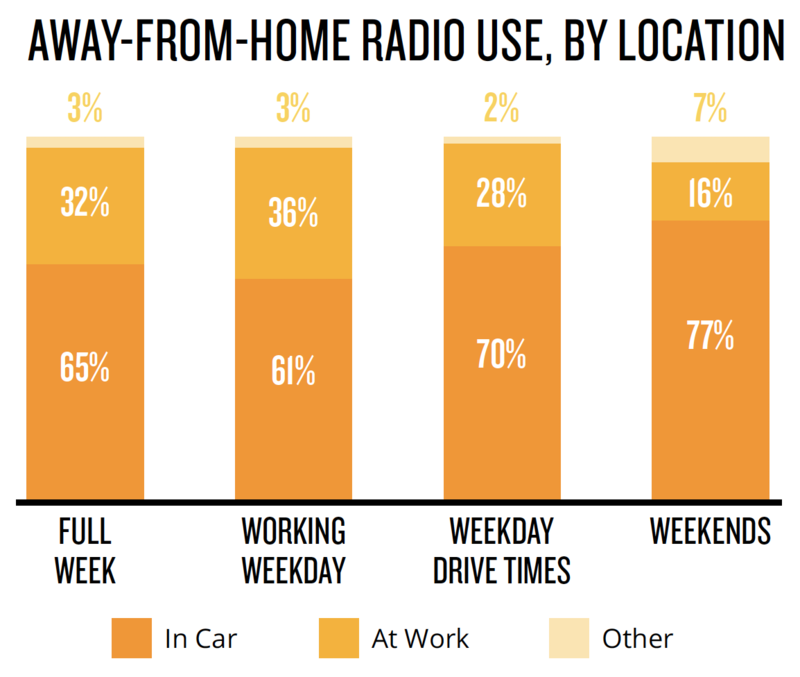 The majority of radio listening happens outside the home when consumers are in their car or at work. This is especially important to Fayetteville retail businesses because this means potential customers are mobile and can easily access stores during business hours. (Source: Nielsen, Total Audience Report Q3 2018). 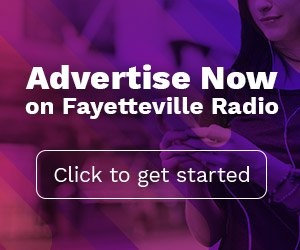 It is evident, based on this research, the best way for local, North Carolina business owners to advertise is on Fayetteville radio.